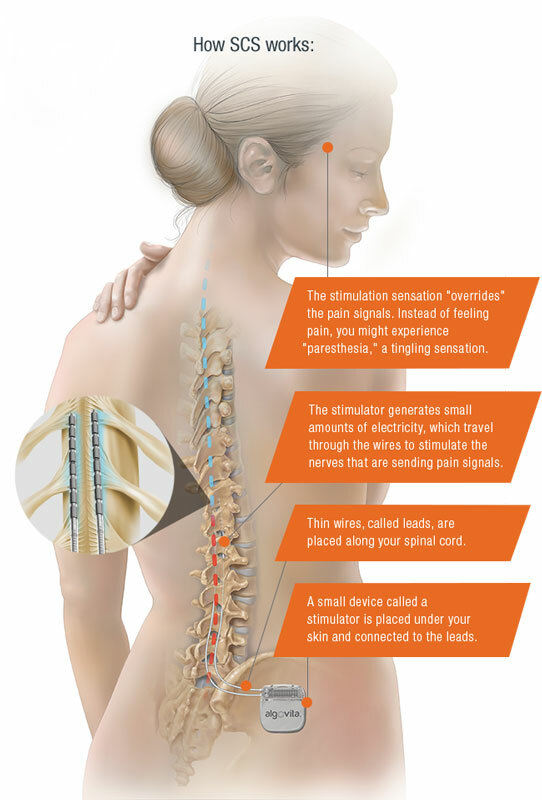 Not everyone with chronic pain is a candidate for spinal cord stimulation therapy. Candidates for spinal cord stimulation generally have chronic pain in their arms, legs or back for six months or longer. Their pain is “neuropathic,” meaning that it produces a burning, tingling, or numb sensation; and they have not found adequate relief with other treatment options.